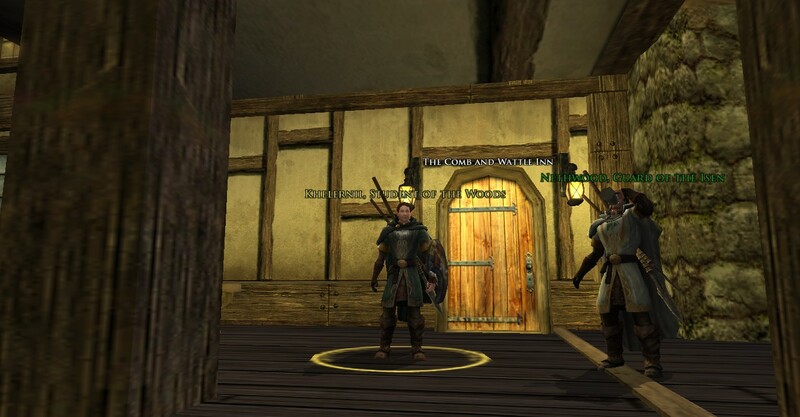 So today I tried Lord of the Rings Online again, mainly due to my brother wanting to play our level 40ish characters together. I had two options in that level range. The first was my burglar and the second was my runekeeper. Unfortunately for my sanity, I picked the runekeeper. I forgot how many buttons the runekeeper has! My UI was also super tiny to me, since I have been playing Star Wars: The Old Republic. I even had the SWTOR UI really big, so the LOTRO UI was very, very small to me. I basically made my own UI, moved the target and vitals frames down to the bottom near the skillbar. Basically, I moved everything so it would be similar to SWTOR, while still working for LOTRO’s systems. SO MANY BUTTONS!!! DID I MENTION RUNEKEEPERS HAVE A TON OF BUTTONS?!? Anyway, after I finished my panic attack, my brother and I logged on to Landroval instead of our normal Vilya, and we started brand new characters. We made a warden duo which is pretty interesting, since I had a level 65 warden, and they did a number on the skills to change them up. I kept thinking I knew what the gambits would do, and all that was the same was their name and colors basically. We made it to level 11 before we logged out so we will see what happens. As an anecdote, every time I turned around, my brother had bought another pint of ale at a tavern and was running around roaring drunk. I think he might have lost the alcohol buff maybe once. It was fun though. I do want to get back into playing LOTRO more, especially with Riders of Rohan coming out. I definitely want to play through the Epic Story parts that have come out since Update 5, which is where I left it, I think. 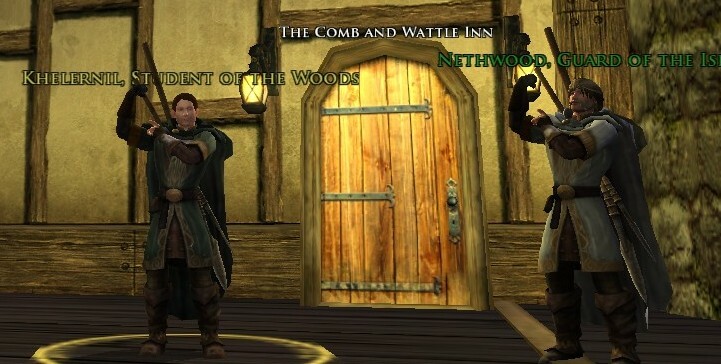 I’ve recently gotten back into LOTRO as i took a break from SWTOR. You won’t recognize your lvl 65 warden today, the class has undergone major changes and they are even more powerful than before…and complicated. Yes RKs have a lot of buttons but I really only found use for a 1/3 of them when leveling. If you go lightening you have 2 builders and up to 5 spenders…reminds me of my jedi sentinel. It’s always nice to come back, even if its a short stay. Yeah I tried to play my warden in a skirmish. It was pathetic lol. I used to solo pretty much anything with him, now a tier 1 skirmish REGULAR MOB is a challenge, because they flipping changed my gambits lol! But it was entertaining. I just don’t have enough time to relearn everything I guess. I’ll stick to my captain. He is as straightforward as he has ever been.